Now, as bad as this stuff sounds, the fact is we need more studies – or rather, a thorough, long-term study with control groups, the proper consideration of other toxins, and so on. In short, we need a continuation of the studies mentioned in these papers. At the moment, that seems unlikely to happen. So, there you have it: Why I don’t like to use and be saturated in WiFi, Bluetooth, and cell phone signals! 2. 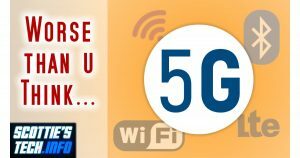 Various, including: 5G Wireless Technology: Is 5G Harmful to Our Health? I can tell you from beeing a Ham radio operator we have less to worry about from WIFI and 5G from them non ionizing radiation then we do when we run our 1500 watt power amplifiers. i have had my wifi actually in my bedroom for the past 15 yrs and nothing has happened to me. i also have my ham station in my room and measure radiation in my room quit frequently and i have very low radiation in my room or house. 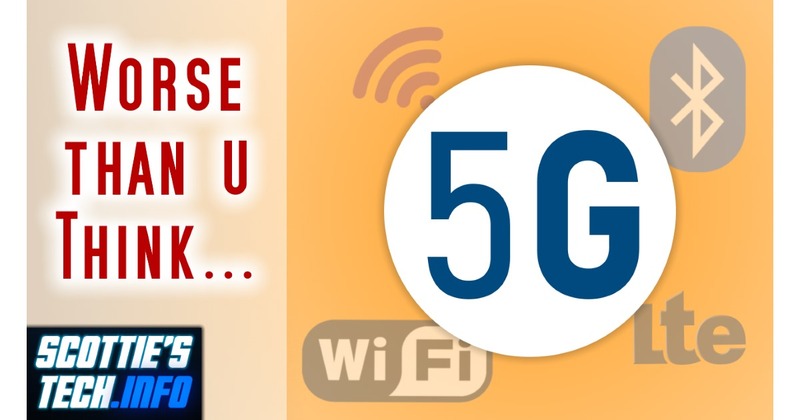 I’m a ham, too, and from what I’ve read, I am actually more worried about Wifi and 5G and the like than from analog signals at HF with an outside antenna – even at high powers. Part of the problem seems to be the kind of pulsed modulation of digital high-bandwidth transmissions, as opposed to more “gentle” analog voice transmissions. Also, as a ham you only transmit rarely, as opposed to your wifi router, smartphone etc.